Every wondered where the most Instagrammed places in Australia are? We did, so we asked those in the know at Instagram to find the most-tagged travelled-to destinations in this wide brown land. No surprise here. 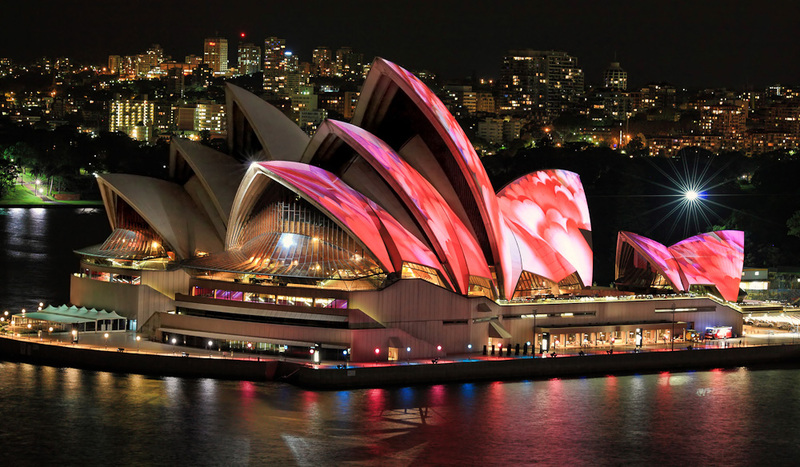 The Opera House is the centrepiece of the most populous city in the country with a benchmark New Year’s Eve celebration of global significance – just like number one on our sister titles’ ‘10 Most Instagrammed Places in the World’ list. Other events like the million-people-drawing Vivid light festival will see the sails long illuminated in this list. On the other side of Sydney’s CBD, Darling Harbour is still first or second stop on many international tourists’ itineraries for a spot of harbourside dining and shopping, even if local visitors have plateaued recently. Watch this space when the current redevelopment – which includes the demolishment of Entertainment Centre – is complete, particularly given its proximity to entertainment and foodie hubs like Chinatown. Let’s just say that Surfers Paradise has never topped our best beach in Australia list, yet, but the Gold Coast’s beach-de-résistance certainly attracts its share of digital natives. Family holidays and the Instagram (and Snapchat) frenzy of Schoolies will help keep Surfers near the top of this Instagram wave. Sydney’s most famous beach destination for a generation was destined to pop up its head here. 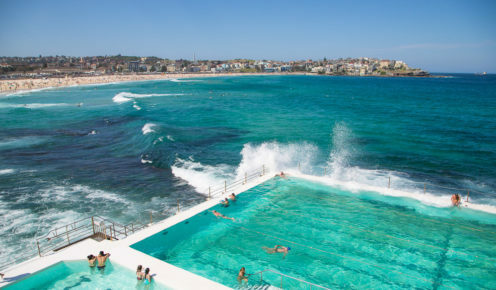 Of course, backpackers and ever-changing trendy restaurants, cafes and bars beef up Bondi’s Instagram credential, but it’s the beach and blue sky that still feature in most Grams. The classic shot across the Bondi Icebergs is one of our faves. A winter full of AFL and perhaps the most famous cricket game in the world, the Boxing Day test, during summer bring ‘The G’ into Instagram focus. Consequently the MCG feed is more for sport worshippers than travel dreamers, with a slew of at-the-game selfies and ‘duallies’ of punters in their battle dress of choice. Even when you’re not facing the other two harbour icons on this list, the Opera House or the bridge, there are a million places and spaces that will forever see Sydney Harbour in this top 10 in Australia, if not the world. How many angles can you Gram the Coathanger from? On top on a bridge climb, from the air in a seaplane, directly underneath from an old ferry or from innumerable spaces from afar, from Taronga Zoo to The Rocks. Not surprisingly one of our demographics’ more popular vantage points is from directly opposite in the Opera Bar, wine in hand. Without doubt, St Kilda attracts the artiest variety of images in this list, thanks to its bo-ho by the beach vibe. 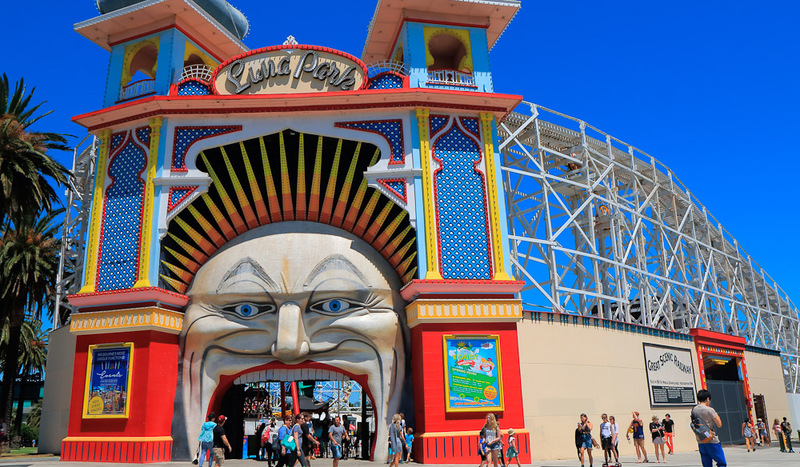 Expect lots of tattoo shots, foodie Grams among the beach shots and Insta-images of Luna Park’s unhinged-looking clown (see: The St Kilda You Always Wanted to Meet). The fact that Sydney’s busiest (if not trendiest) coffee precinct in the barely post-industrial inner-city suburb of Alexandria makes the list may surprise some. To understand, stand outside the Grounds of Alexandria on a Saturday morning and marvel at the hive of people and traffic buzzing around this coffee-driven collective of utterly Instagrammable spaces. South Bank is still Brisbane’s river-side meeting place of choice (see Hip Hood: South Bank). It has evolved over the past few years, moving on from just a sometimes-rowdy outdoor space to a multi-faceted and personalitied part of Brisbane’s persona with growing cultural cred. That’s why it’s Brisbane’s favourite Instagram subject.